It is with great sadness, the family of Marie announces that she passed away peacefully in her sleep on Friday September 29, 2017, in the 8th inning of her life joining her beloved husband, cherished companion, dear friend and soul mate Tony Blois. Cherished mother of Sandra (Jim), Shelly (2010) (Rob), and Alan (April); beloved Nana of Jared (Martha), David (Nikki), Jordan (Kat), Sabrina (Matt) and Meghan, and loving great grandma of Kaylee, Magdalene and Joseph. Sadly missed by her good friend and sister-in-law, Dell Dufour, and also sister-in-law, Marie Blois. Predeceased by her much loved sister, Kaye MacInnis, and brother, Sonny Coffie, and parents, Laura and Gus Coffie of Sydney, Cape Breton, Nova Scotia. 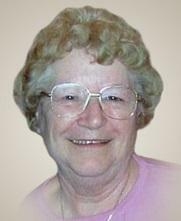 Marie will be missed by her nieces, nephews, extended family and friends. The family would like to thank the staff at Queen's Village Retirement Home for their excellent care and support. With a special thank you to Jessie, Terri, Christina, Natasha, Janice and her entire Queen's Village family. Visitation will be held on Tuesday October 3, 2017 from 7-9 p.m. at Forest Lawn Funeral Home, 1997 Dundas St. E. (at Wavell). A celebration of life will be held Wednesday October 4, 2017 at 11 a.m. in the funeral home chapel. In lieu of flowers, donations to the London Regional Cancer Program or Alzheimer Society would be appreciated by the family.